There are two main elements of safety which fencing can facilitate. The first is ensuring children have a boundary so that parents can minimise the risk of children getting too far away. When playing on a park railings can provide a clear boundary for children. This makes it much easier for parents or careers to explain the perimeter, which is safe. Providing just one access point can mean that the playground is a much safer place allowing responsible adults to let children play with peace of mind. This sense of freedom is wonderful for young children and can encourage much needed outdoor play. The other element which playground fencing can help with is the control of animals entering the play area. Although the Clean Neighbourhoods and Environment Act 2005, section 57 sets out clear guidelines and penalties for dog owners on public land unfortunately not all dog owners are responsible. Railings help to provide a clean and safe environment for children to play. Minimising the risk of coming into contact with dog faeces and the risk of disease. The perimeter also reduces the risk of violent attacks from stray and uncontrolled animals. Playgrounds should be placed in an appropriate location. This said in many urban areas playgrounds are often close to roads. 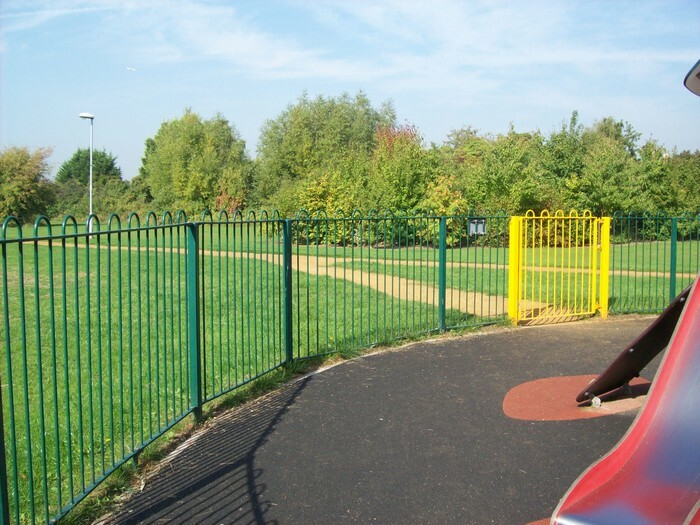 Playground fencing can help to ensure young children do not run straight out into the path of oncoming vehicles. This can again give careers the peace of mind to let children play outdoors. There has been a decline in the time children spend playing outdoors and therefore anything which can encourage this much needed playtime can only be seen as a positive. Often playgrounds are maintained by local authorities, which are already stretched with budget cuts and demands on services. Parks therefore need to be low maintenance so that safety for children is upheld without the need for regular servicing. Steel Fencing from The Fencing Superstore is supplied with a galvanised finish as standard. Galvanising creates a protective coating that shields the metal from the surrounding environment preventing water and moisture in the air from corroding the steel underneath. They also offer a powder coating option in a selection of RAL colours. For more information on playground fencing please visit the Fencing Superstore website.